Navigating the produce aisle has turned into an endless search for ‘pure’ fruits and vegetables free scary-sounding chemicals. As we become more wary, it’s important to consider what we’re voting for with our hard-earned dollars. How bad are these chemicals for humans? How about the environment? What are we willing to sacrifice to ensure our produce is safe to eat? We decided to take a look into the two most common types of chemicals found in our food to see if it’s worth paying the extra dollar for organic, or locally-grown produce. A chlorine rinse is a combination of water and chlorine bleach. It is used to rinse produce in order reduce the chances of us consuming potentially harmful bacterias found on fresh food (such as E.coli and Salmonella). These chlorine bleach solutions typically contain either sodium hypochlorite or chlorine dioxide. Unfortunately, chlorine rinses are not that effective: only 10 percent of bacteria is removed with a bleach solution (and we can all remember the country-wide E.coli scare this year). And if E.coli isn’t unappetizing enough, occasionally traces of the stronger cleaners can remain on the food. Since bleach, even diluted in water, can be toxic, it’s highly recommended to rewash fresh foods before eating them. The short answer is: yes. The FDA’s formula for chlorine bleach rinses is 1 tsp - 1 Tbsp of fresh (less 6 months old), unscented bleach for every gallon of water. The fresh produce should be soaked in this solution for 10 minutes, and then rinsed thoroughly in another bowl with running water for 5 minutes. When used this way, chlorine bleach is safe to consume. The longer answer is: yes, BUT this method is largely ineffective: it is enough to wash and scrub fresh produce with clean water. Additionally, cooking fresh produce is often enough to kill any unwanted microorganisms. This method can also be dangerous. While we consume very low levels of chlorine bleach in our food, individual workers who rinse and package treated produce are exposed to higher, more dangerous, concentrations. The two active ingredients in bleach can cause several negative health outcomes, including skin irritation, blisters, burning pain, sore throat, coughing, and general respiratory distress. The use of chlorine bleach can also lead to environmental pollution. Sodium hypochlorite is particularly damaging to the environment. It is a registered pesticide that is toxic to freshwater fish and invertebrates, and poisonous to plants. If that doesn’t sound bad enough, sodium hypochlorite increases soil pH and breaks down to form hypochlorite. Additional chemical reactions cause hypochlorite to produce and release carcinogenic molecules (trihalomethanes) into the atmosphere. We’re all familiar with this term, but pesticides are actually a group of different chemicals. The main pesticide groups are antimicrobials, fungicides, herbicides, and insecticides (see the full list!). When it comes to the food system, pests affect productivity by eating or spoiling otherwise good crops. Additionally, pests like rodents or mosquitoes can carry bacteria and viruses that are dangerous to our health. Pesticides decrease this risk and make food last longer in storage. In doing all this, pesticides “improve” the quality of food: think about a worm-eaten apple compared to an untouched one, which one would you rather eat?!). The short answer is: yes, BUT. The majority of the fresh fruits and vegetables we eat contain minimal traces of pesticides. At such low concentrations, these pesticides aren’t toxic to humans and can be washed away with water. And it’s not just one type of pesticide per crop. An apple, for example, can be sprayed up to 16 times with 30 different chemicals. Sometimes these fresh foods don’t get washed or processed correctly before ending up at the grocery store. 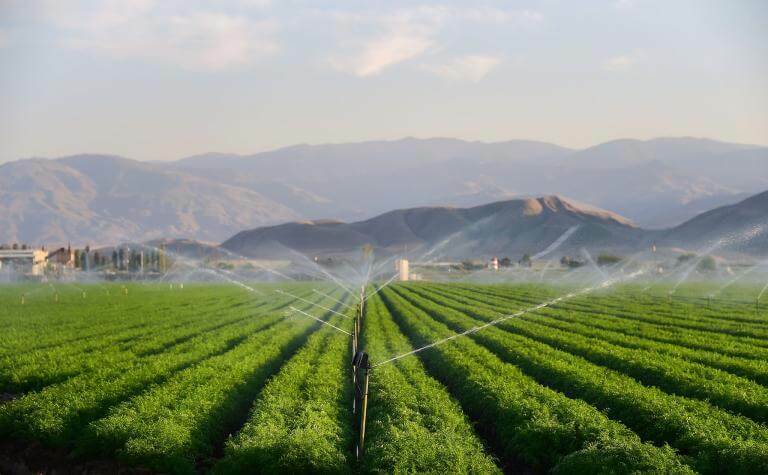 In one case, USDA researchers found lettuce in the market with concentrations of a toxic pesticide (Oxydemeton methyl) at more than twice the dose deemed safe for a six year old child. While this isn't the usual case, it goes to show that dangerous pesticides can make it onto our plates in significant quantities. Pesticide exposure can induce oxidative stress. This is turn can cause diabetes, high blood pressure, heart disease, neurodegenerative diseases (like Parkinson’s and Alzheimer's), cancer and more. Additionally, pesticide exposure can disrupt the human endocrine system and cause reproductive problems. 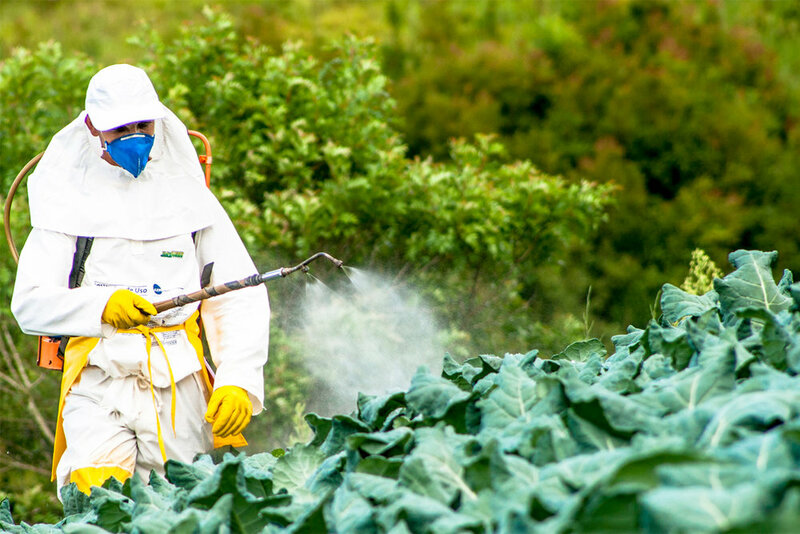 Pesticide exposure can lead to mood disorders, depression, anxiety, and suicide. So, all around, bad stuff. If this is what pesticides can do to humans, think of the effects they have on other species! Pesticide usage to target real pests (that kill crops or spread disease) doesn't occur in a vacuum. Killing the intended pest can lead to negative impacts for many other ‘innocent’ animals and insects. 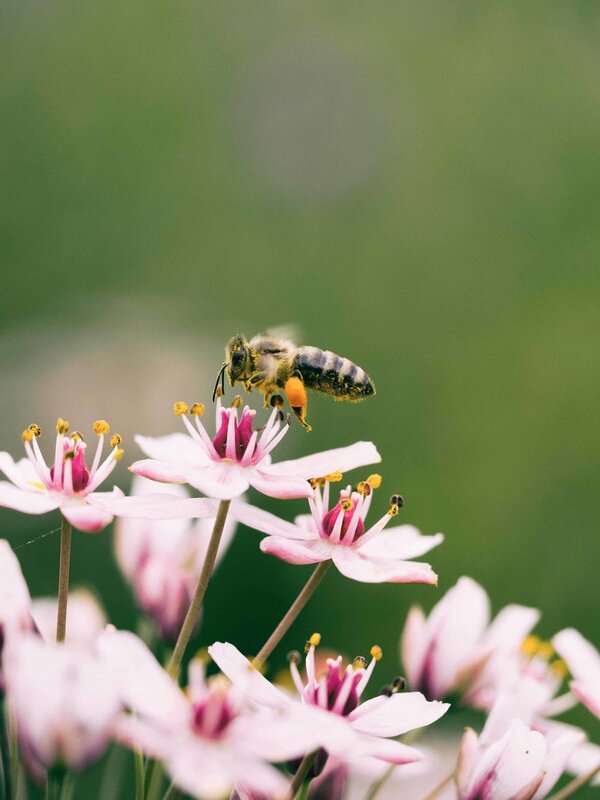 Bees are an example of the terrible environmental impact of pesticides: in 2015-2016 alone, the U.S. bee population decreased by 44 percent. Compare this statistic with the rampant use of Imidacloprid (found of 48 percent of grapes and 20 percent of apples), Bifenthrin (found on 24 percent of strawberries and 25 percent of cherry tomatoes), both bee toxins– and a grim picture of the effects of pesticides becomes clear. Pesticides often create negative environmental effects far outside their application zones. This because the chemicals infiltrate surface and groundwater, and break down into the atmosphere at large. This creates ecological stress for surrounding plants, insects, birds, and mammals. Pesticides can also be ingested second hand (ex. a bird or fish eating an affected insect). The experts agree: the benefits of eating fresh fruits and vegetables outweigh the potential risks of consuming the chemicals used in the growing and packaging process. So, if you’re limited in your spending, stick to the ‘standard’ options in the produce aisle! However, if you’re able to spend the extra dollar or two, opt for organic–or even better–local produce. In both instances, you’re eliminating harmful chemicals from your own diet, while also choosing to avoid buying into farming methods that are harmful for workers and the environment alike. On the other hand, local food does not have this problem. While local can mean many things to many people, it’s largely centered around the idea of growing and selling produce to the immediate community. This has translated to people choosing to identify as ‘locavores’, or participating in 100-mile diets. This point of view not only prioritizes chemical-free farming, but also encourages small and local businesses to flourish and entire communities to come together around sharing good food. It’s important to note that local and organic aren’t mutually exclusive. Many local farms operate using organic principles. However, don’t limit your purchasing behavior to just organic produce. Many small farmers choose not to go through the long and expensive process of getting a USDA organic certification, even though they follow all the rules. Organic is also a term that is very rarely applied to alternative farming methods, like hydroponics or aquaponics, even though neither require the use of any kind of chemicals. Check out this Eat Wild guide to find pasture-raised meat in your area. You can also use this USDA farmers market directory to for sourcing fresh produce! And, if you’re a business looking to source local food, check out Grown by Freight Farms, our hydroponic farming service that puts a farm right at your location.